Whether you decide to buy a quick move-in home or build a new one based on a specific floor plan, your home is ultimately a reflection of you. Each feature and detail inside the home portray your personal style. From a spacious home where you can host large Sunday meals or a comfortable townhome where you can enjoy city life, we have just what you’re looking for. If you’re still trying to find the right Brock Built home for your lifestyle, you’re in the right place! Here are a few examples of the variety of home designs we offer in our neighborhoods throughout Atlanta. The cozy cottage style as seen above in Adams Vineyard is personal and charming. It’s characterized by comfortable spaces designed with comfort and conversation in mind. These homes often feature a variety of warm tones alongside a wide array of textural finishes. This architectural style fosters an intimate ambiance throughout the entire home. For this reason, you’ll typically find these homes adorned in more casual, soothing decor. Additionally, you can find more Brock Built homes available in the cozy cottage design aesthetic at Main Street Estates. 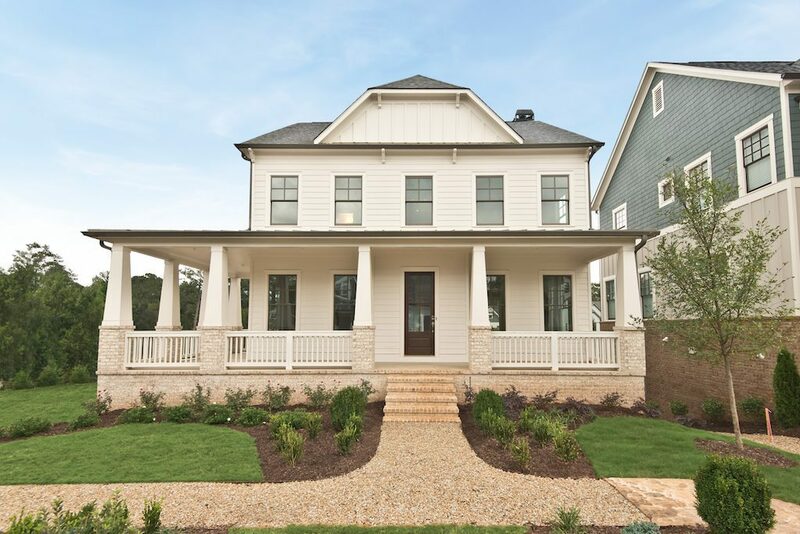 The welcoming front porch such as the one seen above in Oakhurst is perhaps the most prominent feature of farmhouse design. The sought-after farmhouse architectural design is all about creating a welcoming environment. This radiates from the moment guests arrive at your home. These spacious homes have open floor plans ideal for hosting large family gatherings. The focus of these homes is on the formal spaces housed on the first floor of the home where family and friends spend most of their time together in the home. Inside the farmhouse style home you’ll find large kitchens overlooking both the breakfast and family room. In addition, these homes also feature formal dining room and study at the front of the home. The industrial chic style focuses on the combination of contemporary and industrial designs. Common design elements include exposed brick, wooden accents, and industrial-style light fixtures. You’ll find townhomes boasting this unique architectural design in both Westside Station and Mangêt. This stylish home design provides a distinct aesthetic that complements the vibrancy of their surrounding community. Throughout each room, you’ll find bold patterns and fashionable combinations of mixed materials. 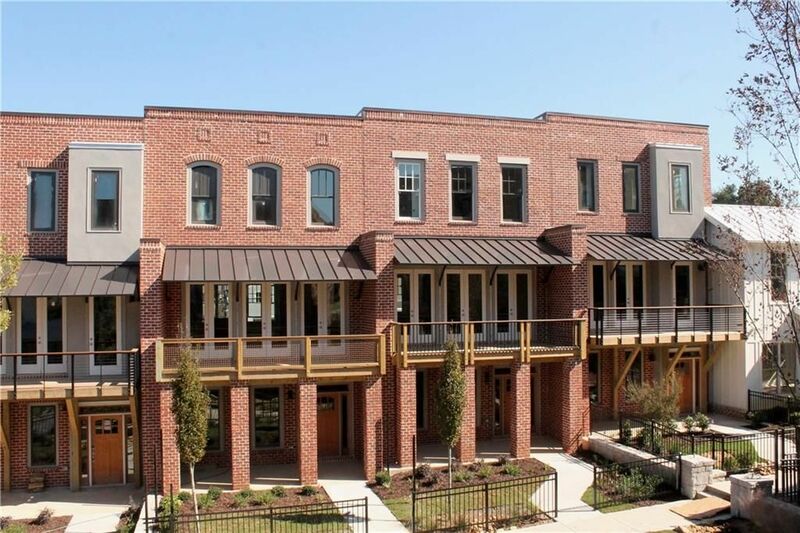 Overall, we have a Brock Built home to fit your personal tastes and every lifestyle. 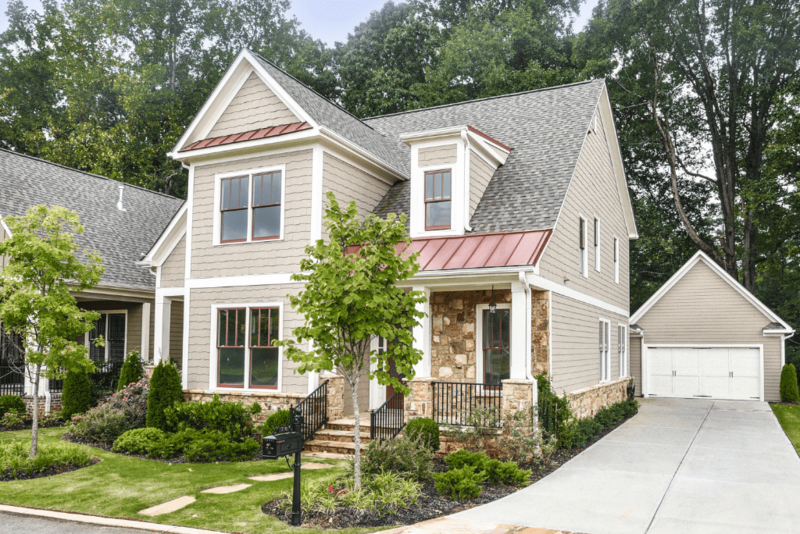 With 9 Brock Built neighborhoods throughout intown and metro Atlanta you’re sure to find a home that fits your style in 2019. Contact us today to take your first step towards beginning your new life in a Brock Built home.